Mum's calling : Happy children's day! It's October, it's children's' day tomorrow! This morning, my princess bounced up excitedly from bed, happily singing tunes while preparing for her children's day party in school. For days, I've been getting repeated reminders about getting her costume ready and preparing some snacks for their party. It's just me that I'll try to avoid the overly high sugared candies and treats in children's party. I told her, we'll bring fruits for share. Strawberries and grapes shall be it! She was pleased bagging it off to school. And when I got her from school today, I asked if the platter was finished. "Not all" she said. 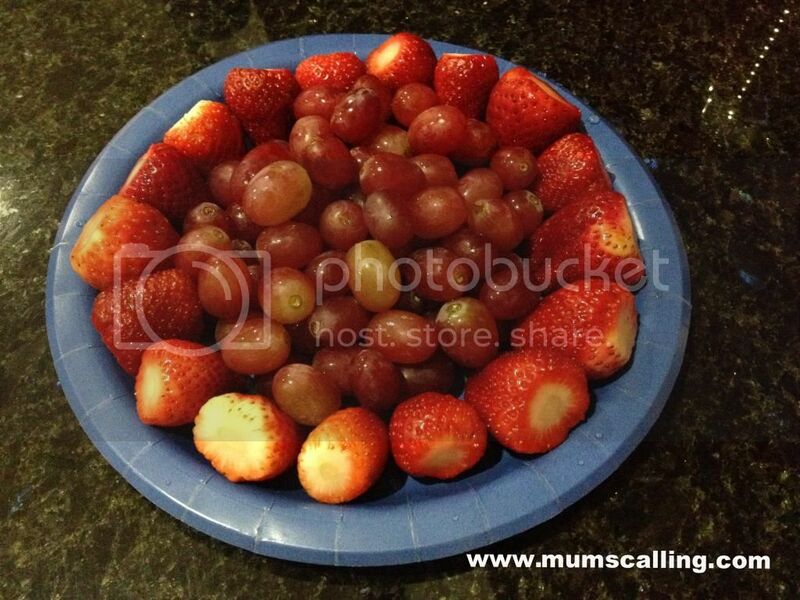 Before I could catch up more, she went, "Mummy, my friends asked why I bring fruits?" Maybe it disappointed some kids that it wasn't another dish of chocs and candies. I asked what was her reply. Her reply was, "My mummy says fruits are healthy." Oh well, I'm glad she didn't think it's weird to bring fruits into a party, when everyone else brought awesome treats. She's probably more relieved that I didn't initiate bringing baby carrots and celery with ranch sauce! In exchange, she brought these home. The leftovers I guess, or just so parents know what sneaked into the party. It's cool, I know it's children's day! It just occurred to me that I won't be able to control their eating habits in due time. The best we can do is probably advocate a healthy eating lifestyle at this tender age, and that fruits at a party aren't weird. It just means Mama's love is spreading among! Happy children's day! May all our little ones eat and grow well. 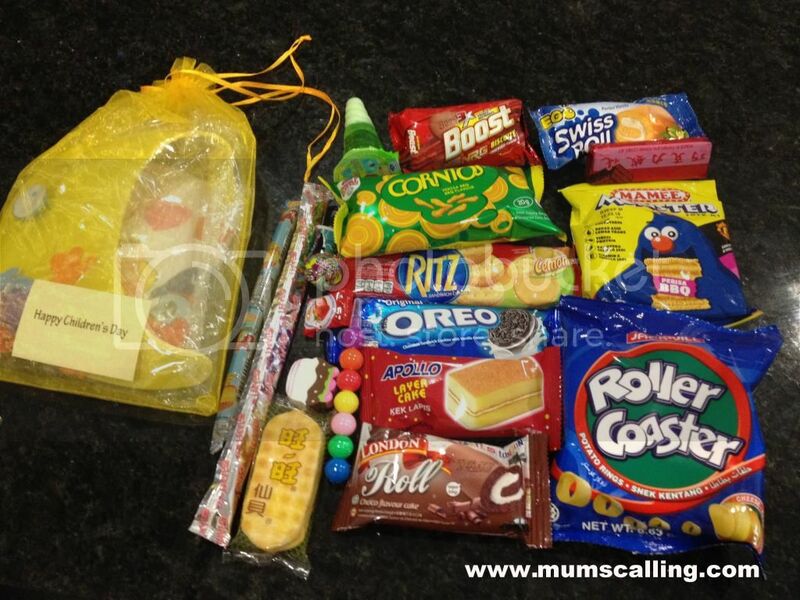 Everytime my boy comes home with a goodie bag, I have to finish the goodies for him and I have to hide to eat them. Mummy J, he must be wondering where his goodies had gone to. Nice idea! Haha.